The 15,000-square-foot Trader Joe's is part of the Edison Building, a mixed-use project on 4th Street in Northeast D.C. 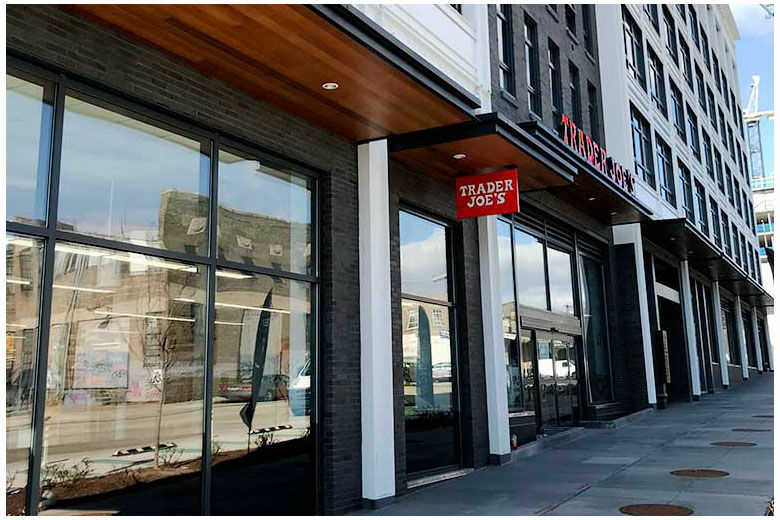 It's the fourth Trader Joe's in D.C.
WASHINGTON — It’s a little late, but Pasadena, California-based Trader Joe’s will open its newest store in the District at Union Market on March 30. The store was originally scheduled to open in the second half of 2017. The 15,000-square-foot Trader Joe’s is part of the Edison Building, a mixed-use project at 1240 4th Street NE. The Trader Joe’s entrance is on the Edison Building’s Florida Avenue front at 350 Florida Avenue N.E. The new store occupies part of Edison’s Florida Avenue-facing ground floor. The building also includes about 190 apartments. Trader Joe’s currently has 15 existing stores in the DC metro are. The Union Market store will be its fourth in the District itself.